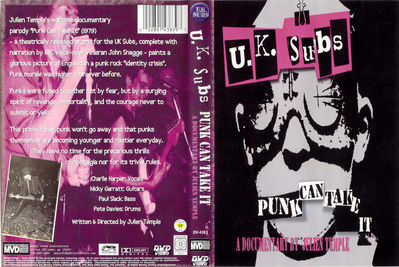 Above: Punk Can Take It US DVD release, 2004, front and back cover. Cleopatra repackaged the DVD with the 'Before You Were Punk' CD as 'Punk Esentials' in 2013. Above: News story, unknown origin. Above: News article in NME, 27th October 1979.